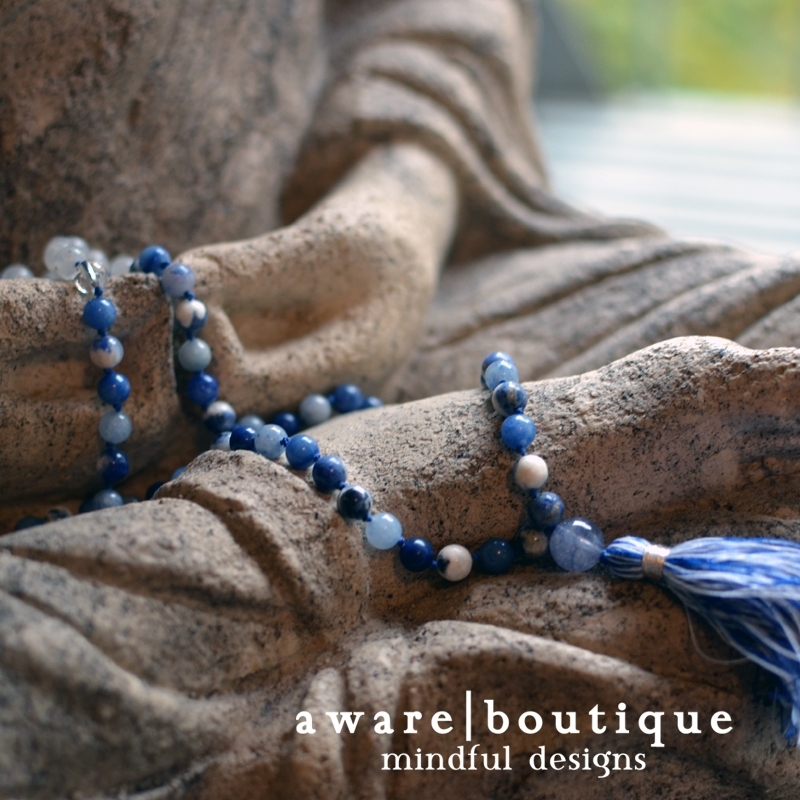 This mala necklace is part of our Fire Collection. 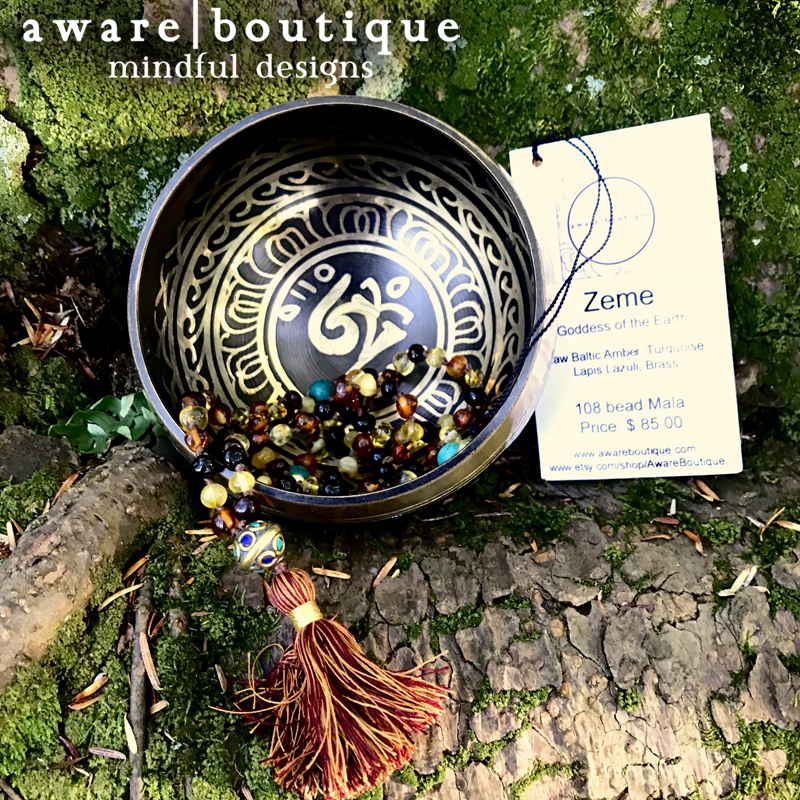 This traditional Tibetan mala has 108 beads, plus 3 marker beads (not to be counted in meditation), and a guru bead and silk tassel. 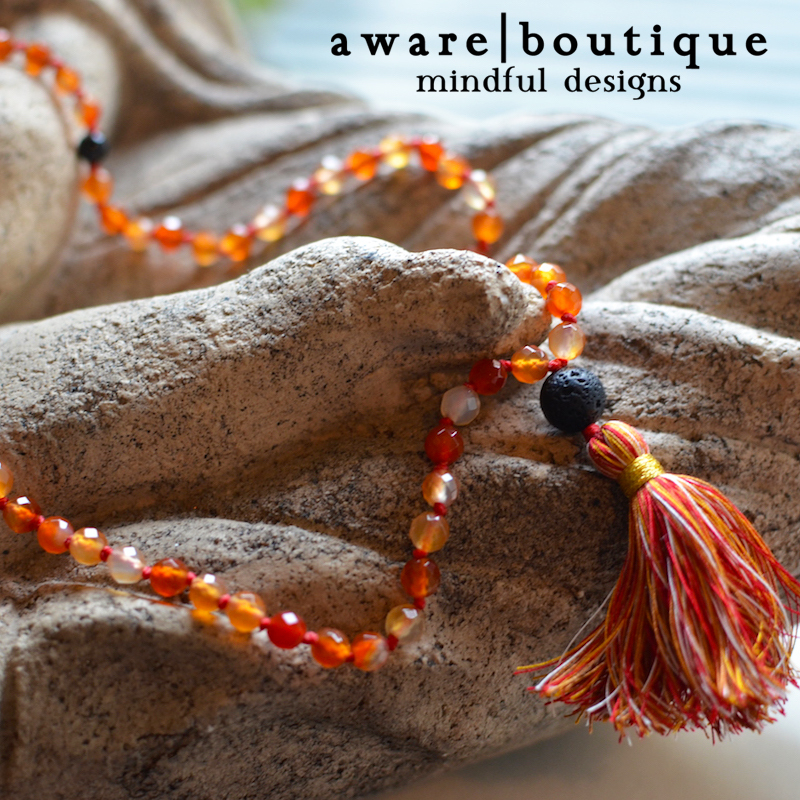 This particular mala is comprised of Carnelian, with Black Onyx marker beads and Lava Stone guru bead.